GARNER, John Nance, a Representative from Texas and a Vice President of the United States; born near Detroit, Red River County, Tex., November 22, 1868; had limited educational advantages; studied law, admitted to the bar in 1890, and commenced practice in Uvalde, Uvalde County, Tex. ; judge of Uvalde County, Tex., 1893-1896; member, State house of representatives 1898-1902; elected as a Democrat to the Fifty-eighth and to the fourteen succeeding Congresses (March 4, 1903-March 3, 1933); served as minority floor leader (Seventy-first Congress) and as Speaker of the House of Representatives (Seventy-second Congress); reelected to the Seventy-third Congress on November 8, 1932, and on the same day was elected Vice President of the United States on the ticket headed by Franklin D. Roosevelt; reelected Vice President in 1936 and served in that office from March 4, 1933, to January 20, 1941; retired to private life and resided in Uvalde, Tex., until his death there on November 7, 1967; interment in Uvalde Cemetery. Papers: Appointment Diaries, 1935-1939, 1 box. The appointment diaries of John Nance Garner include the names of those who met with him when he served as vice president in 1935 and 1939. Papers: 1913-1940, 6 feet. The papers include correspondence, genealogical information on the Garner family, degrees, scrapbooks, newspapers clippings, and photographs. A finding aid for the papers is available in the repository. Papers: In the Henry Krueger Papers, 1908-1952, 0.2 cubic foot. The papers include a speech and some correspondence pertaining to Henry Krueger's support for John Nance Garner in 1940. This collection is owned by the Wisconsin Historical Society, Archives Division, Madison, WI. Barr, Alwyn. "John Nance Garner's First Campaign for Congress." West Texas Historical Association. Yearbook 48 (1972): 105-10. Brown, George R. "Garnering Votes for 'Cactus Jack': John Nance Garner, Franklin D. Roosevelt, and the 1932 Democratic Nomination for President." Southwestern Historical Quarterly 104 (October 2000): 148-88. ------. The Leadership of Congress. Indianapolis: Bobbs-Merrill, 1922. ------. The Speaker: The Romantic Story of John N. Garner. New York: Putnam's, 1932. Fisher, O. C. Cactus Jack. Waco, Tex. : Texian Press, 1978. James, Marquis. Mr. Garner of Texas. Indianapolis: Bobbs-Merrill, 1939. Patenaude, Lionel V. "John Nance Garner," Profiles in Power: Twentieth-Century Texans in Washington, ed. by Kenneth E. Hendrickson, Jr., and Michael L. Collins. Arlington Heights, Ill.: Harlan Davidson, Inc., 1993: 43-59. ------. "Garner, Sumners, and Connally: The Defeat of the Roosevelt Court Bill in 1937," Southwestern Historical Quarterly 74 (July 1970): 36-51. Romano, Michael J. "The Emergence of John Nance Garner as a Figure in American National Politics, 1924-941." Ph.D. diss., St. John's University, 1974. Schwarz, Jordan A. 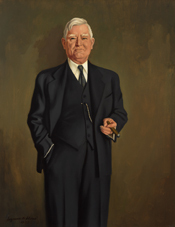 "John Nance Garner and the Sales Tax Rebellion of 1932." Journal of Southern History (May 1964): 162-80. Texas Memorial Museum. John Nance Garner Cartoons. Presented by Vice President and Mrs. Garner, of Uvalde, Texas, to Texas Memorial Museum. Austin: N.p., 1958. Timmons, Bascom N. Garner of Texas: A Personal History. New York: Harper, 1948.